Dheerja Kaur is head of product and design at theSkimm, a company that focuses on delivering news and information into the routines of female millennials. They have an audience of millions who engage with them daily via their newsletter, app, and audio/video products. Prior to joining theSkimm, Dheerja was an engineering and product leader at ESPN, working across ESPN.com and ESPN’s flagship mobile apps, and was the first engineer to build Grantland. 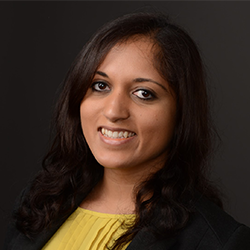 Kaur was a presenter for the panel NEWSLETTERS: How email, an almost 50-year-old technology, has become the next big thing for news organizations at ISOJ 2018 on Saturday, April 14 @ 2:30 p.m.